RABBIT EYE MOVEMENT (REM) started as street art concept, created by Urban/Graffiti artist and illustrator Nychos in 2005. It fuelled and defined the artwork Nychos spread on the street for the next seven years. In 2012 he acquired a home for REM to live. Located in the heart of Vienna, the RABBIT EYE MOVEMENT Art Space is now a shop and agency dedicated to pushing the same movement that created it. REM connects and promotes a network of Urban Artists, both national and international, and many with a background in illustration. 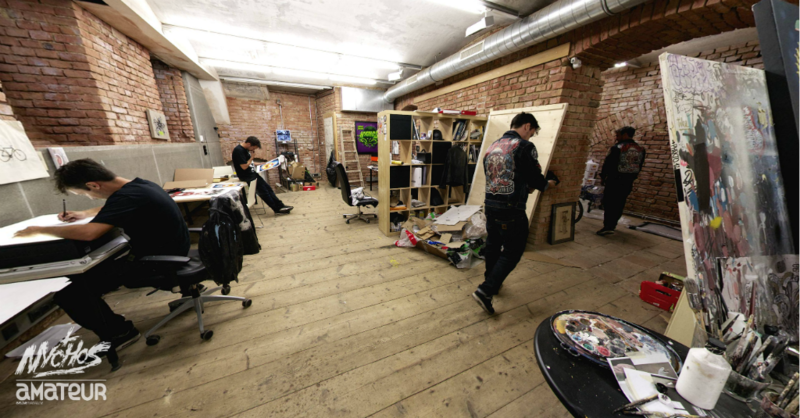 The Art Space is a multi-purpose platform for these artists and provides room for exhibitions.